When your business grows quickly, things don’t “naturally fall into place” like you might hope or think. Many businesses actually go out of business as a result of growing too fast and not having the infrastructure to support it. 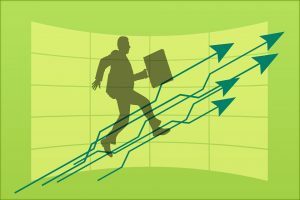 The way to avoid some (and I do mean some) of the surprises that go along with business growth is to have modeling and a process that will help you see and address some of the obstacles. When we do strategic planning with businesses, the first thing that we do is to help them determine what they would like to do over any given time frame. That could be to earn a certain amount of money, get to a certain plateau in their business or even sell the business and get a certain amount of profit as a result. No matter what it looks like, we have to begin with the end in mind in order to begin to map out what steps will be required to get there. Often, the goals that our clients have is to grow, exponentially, over a certain time period, which, inevitably, requires changes in the infrastructure. For example, if you are a “solo-preneur” or a one-person shop, suddenly, accounting, marketing, research and other tasks become overwhelming as people begin to ask for more of your time. You are suddenly faced with the need to get some help, possibly without the spare brainpower to determine what the best course of action to take would be. Do you hire a bookkeeping firm, a bookkeeper or an intern? What are the things that only you can do, and what could you possibly hire a Virtual Assistant to do? Do you have a sales strategy that will allow you to constantly add new clients, wherein you can even make these decisions? Getting from point “A” to point “B” will require a bit of a road map; however, you must also consider the capacity of your vehicle. Running full steam at an extended period of time will cause you to crash. There is no “maybe,” “might,” or “possibly.” It will happen. Therefore, you must know your capacities. How much work can you get done over the course of a day? At current strength, multiplying this out through the course of a year, will you reach your goals? What do you need to add to it in order to reach those goals? The other piece of the puzzle is capability. When you begin your journey, you are pumped and ready to go. You are able to keep the organization aligned, your customers appreciate the business. You have the capability to do a great job. How do you maintain that? How do you ensure that the last customer will have the same great experience as the first? How do you ensure that as the company grows, you are able to maintain that experience, the same product quality, the same delivery experience, as you offered in the beginning? These questions, too, must be answered, and in a way that is consistent with your brand. None of these things naturally fall into place. Don’t wait until you are in the growth phase to begin planning. Run the business as if you expect it to grow. Growth takes work and planning. Knowing the needs your business will have at any phase of its growth is imperative to the long-term success of the business, and your personal fulfilment with what you do for a living. Separate from the pack; Lead an Extraordinary Business.